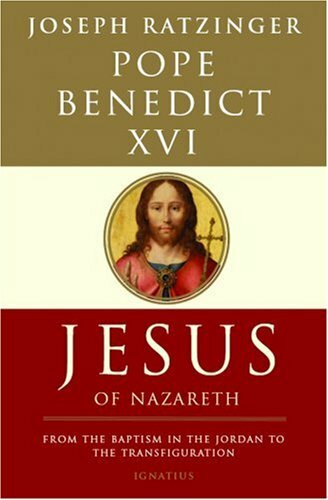 In the books, Ratzinger seems to be trying to stitch together the Jesus of the Gospels and the Jesus that has emerged at the hands of historical-critical scholarship. The result is "his personal search 'for the face of the Lord.'" Historical-critical scholarship takes a secular approach to studying and understanding the biblical text. It looks at the Bible without any prior faith assumptions. Ratzinger lays out his methodology in the forward. He starts by talking about historical-critical scholarship and its limits. He is quite right when he says that historical-critical scholarship has produced reconstructions that are "more and more incompatible with one another: at one end of the spectrum, Jesus was the anti-Roman revolutionary working-though finally failing-to overthrow the ruling powers; at the other end, he was a meek moral teacher who approves everything and unaccountably comes to grief. If you read a number of their reconstructions one after the other, you see at once that far from uncovering an icon that has become obscured over time, they are much more like photographs of their authors and the ideals they hold." Ratzinger is reluctant to completely write off historical-critical scholarship. He considers it an "indispensable tool" but with limits. "I would like to sketch at least the broad outlines of the methodology, drawn from these documents, that has guided me in writing this book. The first point is that the historical method-specifically because of the intrinsic nature of theology and faith-is and remains an indispensable dimension of exegetical work. For it is of the very essence of biblical faith to be about real historical events. It does not tell stories symbolizing suprahistorical truths, but is based on history, history that took place here on this earth. The factum historicum (historical fact) is not an interchangeable symbolic cipher for biblical faith, but the foundation on which it stands: Et incarnatus est-when we say these words, we acknowledge God's actual entry into real history." The historical-critical method "is a fundamental dimension of exegesis, but it does not exhaust the interpretive task for someone who sees the biblical writings as a single corpus of Holy Scripture inspired by God." Given the claim that it is a single corpus, perhaps, all of it is history. Perhaps, in Ratzinger's mind. But let's move on. "Its very precision in interpreting the reality of the past is both its strength and its limit." "Historical-critical interpretation of a text seeks to discover the precise sense the words were intended to convey at their time and place of origin. This is good and important. But - aside from the fact that such reconstructions can claim only a relative certainty - it is necessary to keep in mind that any human utterance of a certain weight contains more than the author may have been immediately aware of at that time." In other words, Ratzinger is claiming the freedom to "draw out new meanings from the words". Which is pretty much what the Gospel writers did - drawing on the stories of the Old Testament - and drafting new ones. This is not new. What is new is Ratzinger's attempt to claim that his theological exegesis "does not contradict historical-critical interpretation, but carries it forward in an organic way toward becoming theology in the proper sense." He also admits that "the main implication of this for my portrayal of Jesus is that I trust the Gospels." Ratzinger is doing theology and claiming that it has historical-critical scholarship as its launch pad. But he starts by making claims that does contradict historical-critical interpretation. seeing the biblical writing as a single corpus of Holy Scripture inspired by God. After making these assumptions, Ratzinger has the gall to claim that it does not contradict historical-critical interpretation. But it does, doesn't it? As Ratzinger said earlier, historical-critical scholarship has concluded that there is very little if any, that we can definitively know about Jesus' life. 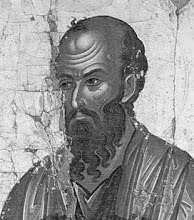 Different scholars draw different portraits because so much of the Gospels is contradictory. A wisdom-sayings spouting sage is at cross-roads with the apocalyptic Son of Man. An exorcising magician is at cross-roads with the heavenly high-priest we see in the book of Hebrews. The Christ in the epistle to the Philippians has little to do with history. The reason why scholars pick one over the other is because mix of all these has no coherence. Perhaps, when Ratzinger writes, "I wanted to try to portray the Jesus of the Gospels as the real, "historical" Jesus in the strict sense of the word", he is reinterpreting the word "history" to mean "theology". It is frustrating to see a scholar like Ratzinger doing violence to historical-critical methodology. Why can we believe that Jesus' life was extraordinary? "Unless there had been something extraordinary in what happened, unless the person and the words of Jesus radically surpassed the hopes and expectations of the time, there is no way to explain why he was crucified or why he made such an impact." Is there really no other way to explain why he was crucified? Perhaps, by the same token, there is no other way to explain Buddha's enlightenment and his impact! Perhaps, there is no other way to explain the raise of Islam and Prophet Mohammed's impact. How about Joseph Smith? Or does Ratzinger prefer special pleading for his faith? We are treated to some more special pleading. "As early as twenty of so years after Jesus' death, the great Christ-hymn of the Letter to the Philippians (cf. Phil 2:6-11) offers us a fully developed Christology stating that Jesus was equal to God, but emptied himself, became man, and humbled himself to die on the Cross, and that to him now belongs the worship of all creation, the adoration that God, through the Prohpet Isaiah, said was due to him alone (cf. Is 45:23)." He continues. "Where did this Christology come from? To say that it is the fruit of anonymous collective formulations, whose authorship we seek to discover does not actually explain anything. How could these unknown groups be so creative? How could they be so persuasive and how did they manage to prevail? Isn't it more logical, even historically speaking, to assume that the greatness came at the beginning, and that the figure of Jesus did explode all existing categories and could only be understood in the light of the mystery of God?" Many religions have been creative and have prevailed, all through history. It does not take faith in the mystery of God to explain any of that. Ratzinger's Jesus is a portrait of himself and his faith. In this he does precisely what he says historical-critical scholars are guilty of. Ratzinger has the honesty to admit that his interpretation "requires faith, but the aim unequivocally is not, nor should be, to give up serious engagement with history." Historical-critical scholarship is moving increasingly towards a minimalist position. More and more of the New Testament is being relegated to the realm of myth and legend. There is very little historical evidence to base a portrait of Jesus. Hence the confusion between the different portraits. Ratzinger cannot cite this problem and then make an about turn, take a maximal position and call it history. He cannot do that without laying out the arguments for doing so. But starting with the first chapter, Ratzinger pushes forward finding harmony among all the differences. Ratzinger should feel free to paint a colourful portrait of Jesus, with the colours of his choice. But he should leave his pretensions of historical-critical scholarship behind in the interest of honesty.